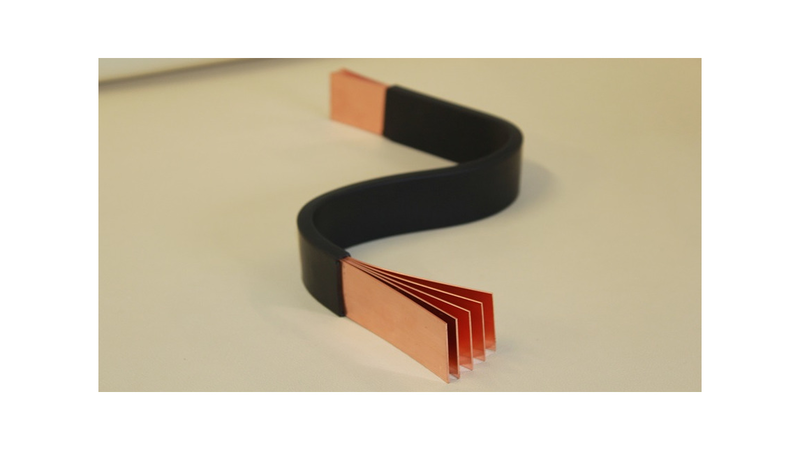 Insulated Flexible Copper Bars are formed by coating folios overlapping each other by a special PVC compound. They are safe connectors. These flexibles can be easily formed and conserve their shape avoiding deformation for a long period. These connectors are capable of carrying more electrical current than rigid bars hence having several layers that increase the electrical current surface. Therefore, the flexibles can easily be used in smaller crosssections when compared to rigid bars, whereupon they constitute cost reduction. The dimensions which are shown on the table are standard sizes. Our production limits are; from 9mm up to 53mm width, from 1 to 12 layers of copper folios, each might has thickness of 0.5, 0.8 or 1.0mm.